Things are a little different for the Buffalo Sabres since the last time I wrote one of these. Darcy Regier was still the general manager and the embattled Ron Rolston was still head coach, hanging on by a thread. Since then? Both are gone and a few nostalgic faces have replaced them: Pat Lafontaine as the President of Hockey Operations and Ted Nolan as the interim head coach. They still need a general manager but the folks in Buffalo seem to be generally happy about the way things are right now. Rolston, in his last game as coach, led the Sabres to a win over the Los Angeles Kings before handing the reigns to Nolan. The team picked up where it left off with a win over the Maple Leafs on Friday before dropping a close on Saturday in a home-and-home. Let’s see what’s in store for the boys in blue and gold and their new staff in the week ahead. Leading the way for the Blues is the NHL’s leading goal and point scorer in Alex Steen. He’s been outstanding to say the least. He has 17 goals (!!) in just 19 games so far this year and is the only one keeping pace with the ridiculous Alex Ovechkin in that department. The scary part is that there are eight other guys behind Steen with at least 10 points so far. For reference: Cody Hodgson is the only Sabre with double-digit points. Yikes, man. The power play is dangerous as they come, showing their prowess when they destroyed one of the top penalty killing units in the league in Colorado. This team is arguably the deepest in the league and comes equipped with fantastic goaltending and defense. A very tall task indeed. Ah, a team struggling just as badly as the Sabres! The Flyers are dead last in the really so-so Metropolitan Division and just five points ahead of the Sabres for dead last in the Eastern Conference. Philly is actually okay at keeping the puck out of their net but can’t score to save their lives – they are dead last in the NHL in goals scored this year. Part of that problem is attributed to the fact that leading scorer and resident superstar Claude Giroux only has one goal so far. Everyone though the biggest issue this year would be their goaltending – Ray Emery, come on down! – and defense, but the usual suspects just aren’t scoring and if things don’t improve in Philly soon, a fire sale of epic proportions could be on. Should be an interesting matchup when Buffalo rolls into town on Thursday. Initially, I looked at the Western Conference standings and went “where’s Detroit?” Yeah, it’s gonna take me awhile to remember they’re back in the East. That said, they are keeping pace in the Atlantic Division but have let opportunities slip away as evidenced by their league-high seven overtime losses. Turn one or two of those into wins and Detroit finds itself atop the Eastern Conference. 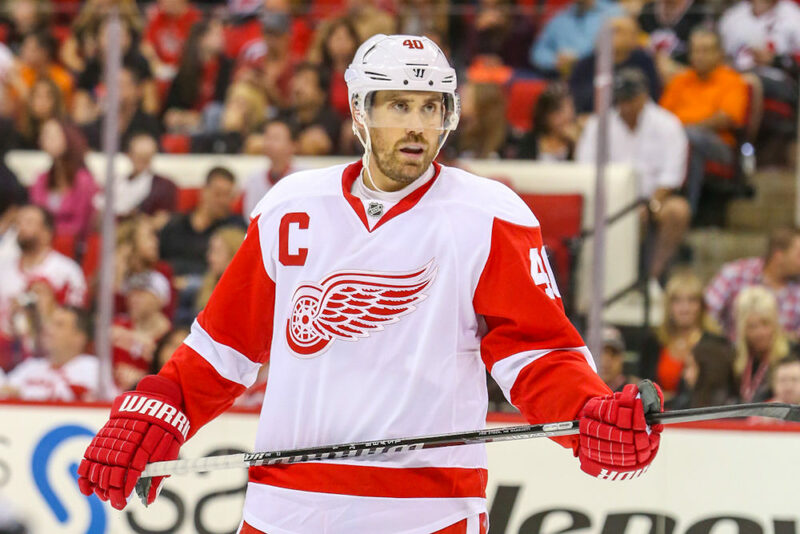 In a surprise to no one, Henrik Zetterberg and Pavel Datsyuk are still very good at hockey. They lead the Wings in scoring and find themselves among the league-leaders in points with 23 and 22 respectively. 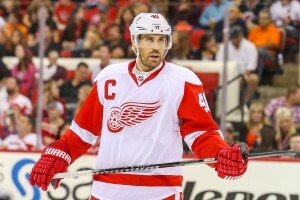 Datsyuk continues to do silly things to helpless defenders and there’s nothing they can do about it.